I don’t know why am so obsessed with coffee and cigarets these days, but i hope this will fade soon. I found this Tic Tac Toe Ashtray at greenergrassdesign i couldn’t figure out how would you distinguish the X’s from O’s, let me know if you find out. I guess one of you would have to smoke a cigarette and the other a cigar… ?! 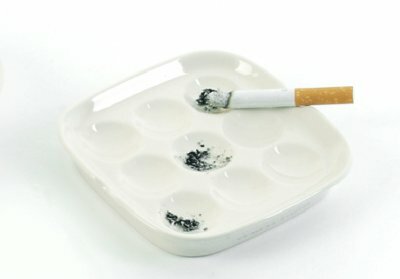 Dont really care how they play it, just give me a smoke and the ashtray!!!!!! !